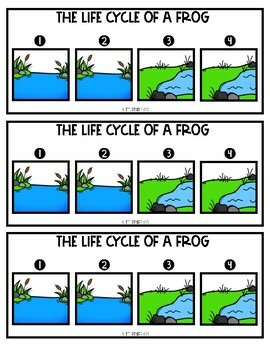 Are you looking for a fun and engaging activity to teach the frog life cycle? 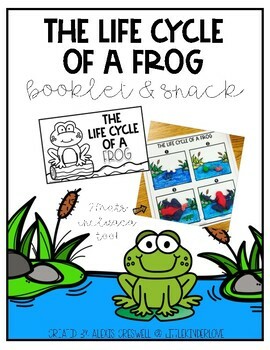 This pack includes a frog life cycle booklet and two different snack life cycle mats. 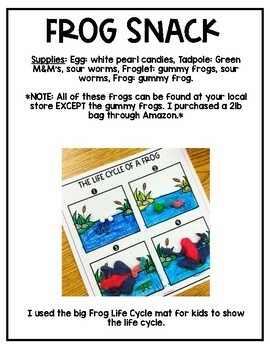 These can be used for the snack or you can use them another way to show the life cycle. The mats come in black and white too! 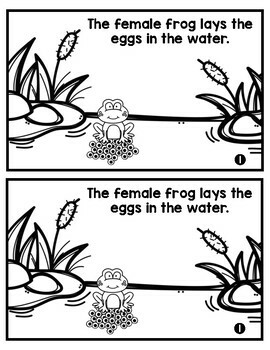 I've also included small puppet pieces where students can place the pieces onto mini popsicle sticks and move them to the correct life cycle. *4/15-4/20 BUY THIS PACK GET THE FREE BUTTERFLY SNACK MATS FREE* Email me with a copy of this receipt at littlekinderlove@gmail.com and I will send it over to you!